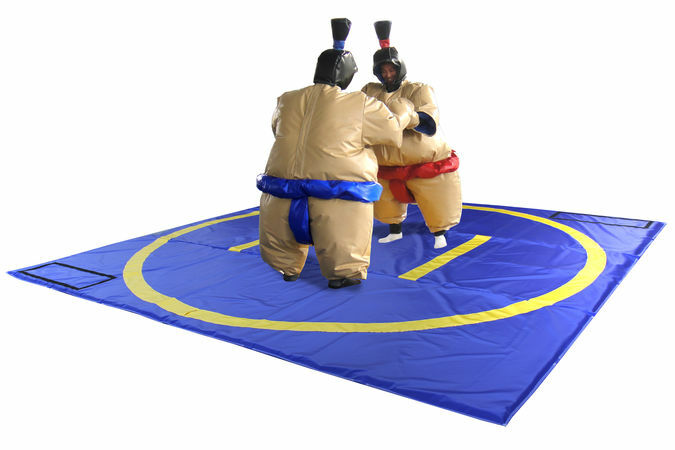 Sumo suits look hilarious and make for some great competition. Rental price includes 2 suits, helmets, and gloves. Large foam mat with marked ring.